It should be no surprise that our obsession with mermaids runs deep....real deep. Aside from having great hair, getting to wear bikini tops on the regular and having a glittery green tail, they make waves. 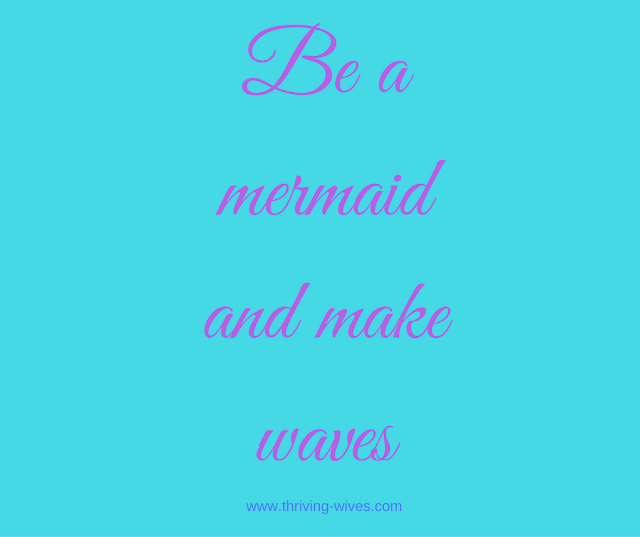 Shouldn't we as Thriving Wives also make waves? Spreading waves of joy to those around us, creating positive waves through each experience we encounter and not being afraid to make waves if something is happening we disagree with. As the end of summer draws nearer, let us throw our fins up one last time and give out a big Mer-AAAYYYY for all we have to be grateful for. Take on the weekend not being afraid of making waves, but owning that we do.